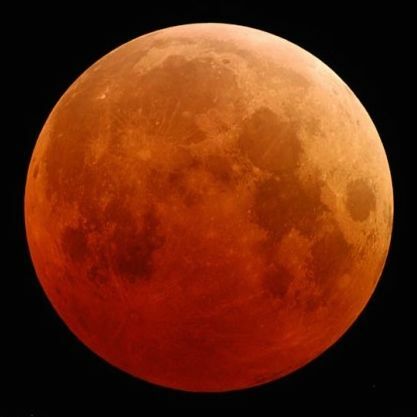 2004 lunar eclipse by Fred Espenak. Let's hope for no clouds! Why will the moon look red during the eclipse? Sky.org has answers here [hint: the earth's atmosphere is responsible]. If that's too dry and factual for you, maybe you would enjoy reading about blood moons and portents? For more details, see NASA's data sheet on this event.